Six Big Game Day Crowd Favorites! – What's for Dinner Moms? Six Big Game Day Crowd Favorites! Looking for something different to serve at your Super Bowl party? I have gathered some of our favorite recipes for appetizers and sweet treats that will satisfy everyone on your guest list! 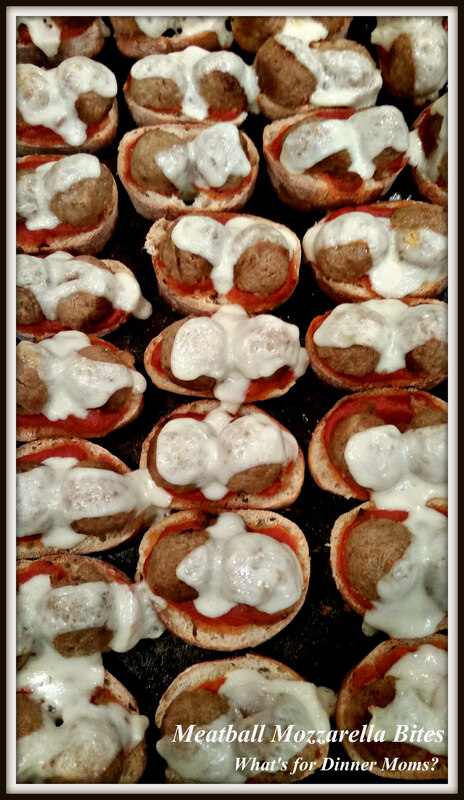 These Meatball Mozzarella Bites (click for link to recipe) are simple to make and make a large amount all at once! They will have your hungry crowd quieted down in no time as these are flavorful and hearty. Looking for something different to do with your fresh vegetables? 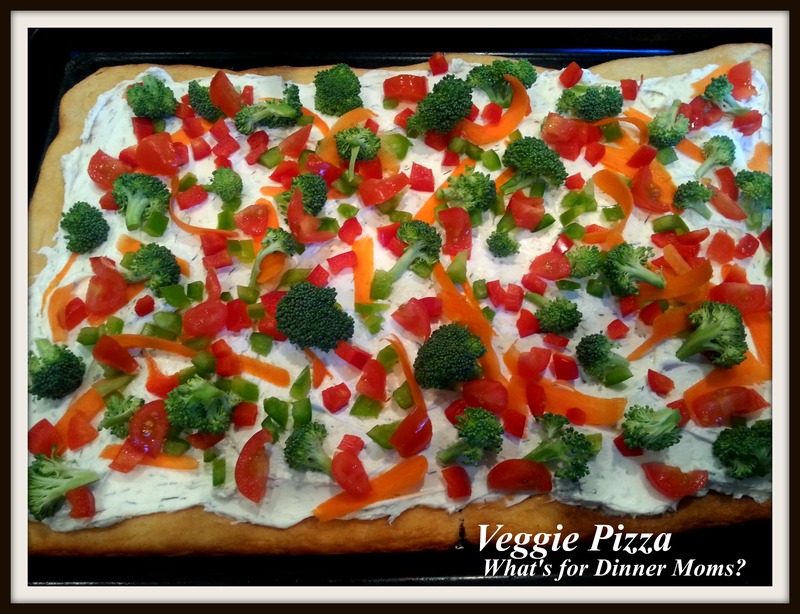 This Veggie Pizza (click for link to recipe) with a cheesy, garlic base that packs a ton of flavor into a little slice! Topped with chopped fresh veggies it is a beautiful dish to add to your buffet. 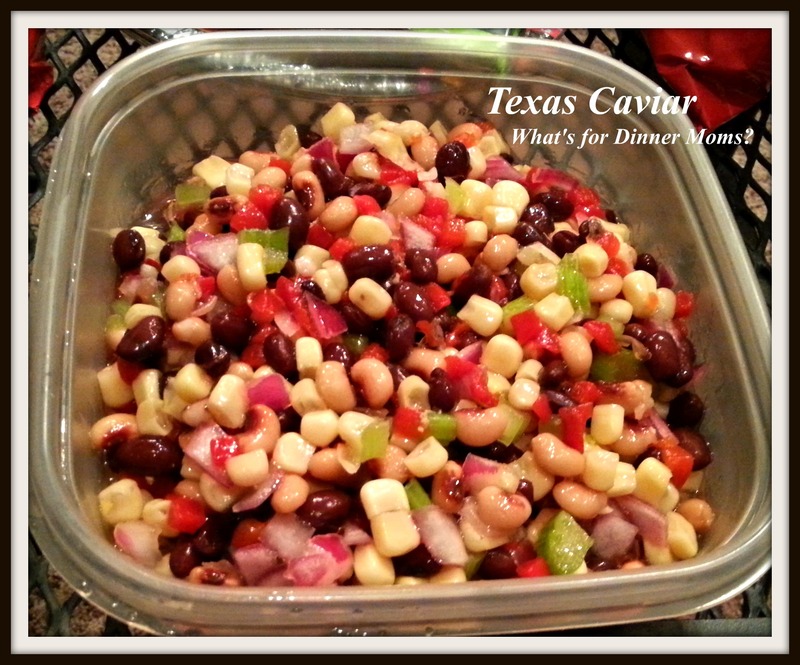 Aunt Amy & Uncle Mike’s Texas Caviar (click for link to recipe) is a huge hit at all our family gatherings. This can be made the day before your party and served to your guests the next day! So easy and such a great sweet, refreshing taste that everyone will love! 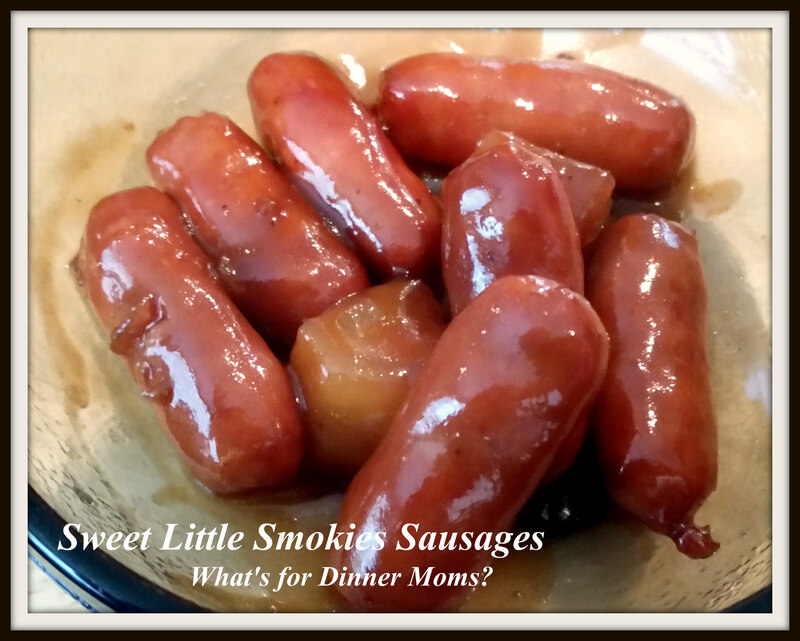 Sweet Little Smokies Sausages (click for link to recipe) are always a hit at any gathering. This is my number one pinned recipe on Pinterest. These are delicious but so simple to make! Add the ingredients to your slow cooker and forget about them. The guests serve themselves. The only thing you need to worry about is having enough for your hungry crowd! Pulled pork is pretty standard food at a football party but how about taking yours to the next level by serving it over cheesy fries? 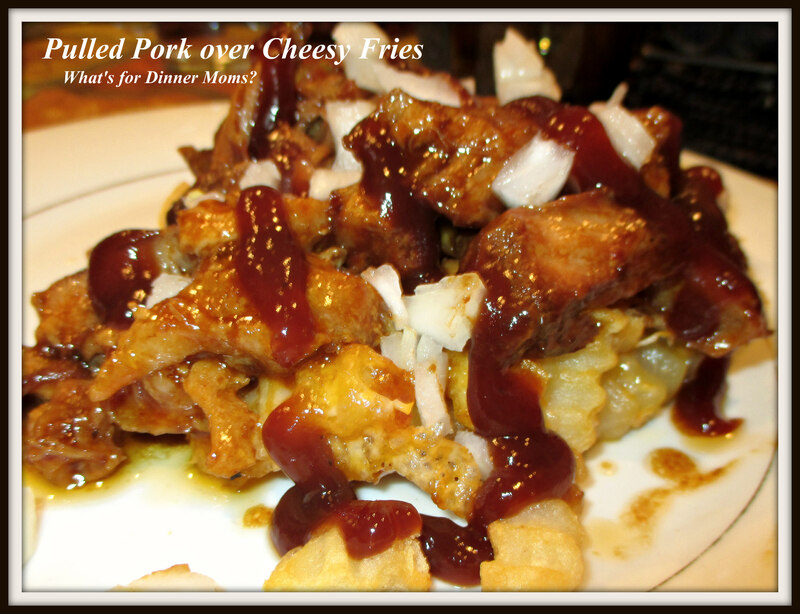 Pulled Pork over Cheesy Fries (click for link to recipe) is super simple if you make the pulled pork in your slow cooker the day before and use frozen french fries to serve it with. It takes your plain pulled pork to a whole new level! Biscoff Ice Cream Sandwiches (click for link to recipe) can add a nice, light, unexpected sweet treat to your party. They are simple to make and can be customized using your favorite brand and flavor of ice cream. Make them the day before the party and freeze them overnight to serve to your guests as the game winds down. They are not too heavy and add just a little sweetness to your party. Hope this makes your planning a little bit easier! Oh yum! The veggie pizza looks delicious 🙂 I love pizza! This is nice to serve at a party because it is served cold or room temperature so no need to worry about it staying hot! Always amazing recipes on your blog! Thanks for planning my next party! The recipes & photos are great. Those pulled pork cheesy fries look crazy delicious! All great ideas! Thank you! They are a favorite hear as well as the Bleu Cheese Fries I made a few weeks ago. I had a stomach bug on Sun and slept through the super bowl spread I had planned AND the game. This looks great though! Thank you! Hope you are feeling better. The stomach bug has closed several schools in Western NY this week. Ick. Yes it was violent but quick, thank the lord. Glad you are well now.